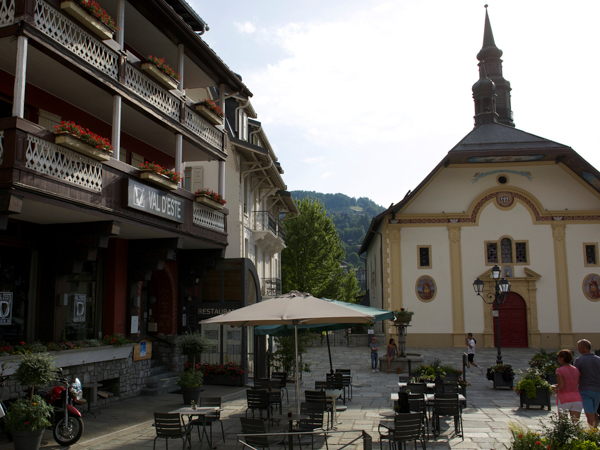 This historic hotel is right in the heart of the thermal spa town of St Gervais-les-Bains, with restaurants, bars and shops all around. The telecabine to access the ski area of St Gervais, Bettex and Megève Mont d’Arbois is just 800m away. There is a ski bus a short walk away, or it will take approximately 10 minutes to walk there. You can leave your skis and boots in heated lockers at the top of the Bettex telecabine, enabling you to return in ‘normal’ shoes. The hotel does not have its own restaurant and so the Val d’Este is offered on a bed and breakfast basis, but with the added bonus of afternoon tea when you return from the slopes. 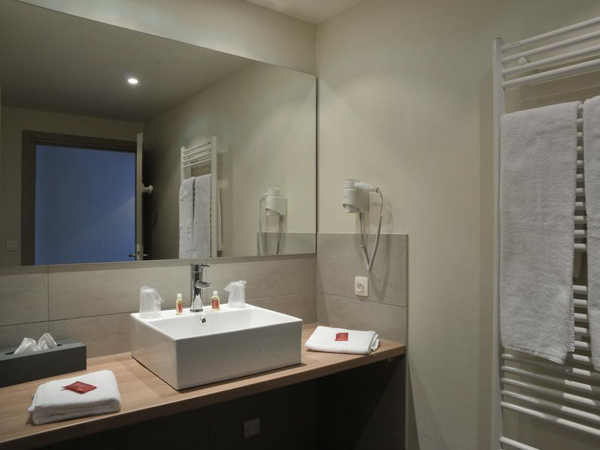 The Hotel Val d’Este has fairly basic but comfortable accommodation, which is always clean and welcoming. Additional facilities include a comfy ‘salon de the’ and lounge, and also outdoor terrace for those sunny days – perfect for watching the world go by. Hotel managers, Christophe and his wife, offer very warm and friendly service, and excellent hospitality, always on hand to answer questions or offer advice. Christophe speaks good English too, so no worries there. The 15 bedrooms are unfussy yet comfortable and homely, with a traditional decor, and feature ensuite bathrooms, a flat-screen TV and free WiFi. Some rooms have balconies with mountain or village views. The hotel is part way through a renovation project, so some rooms and spaces have been upgraded, with more to follow. 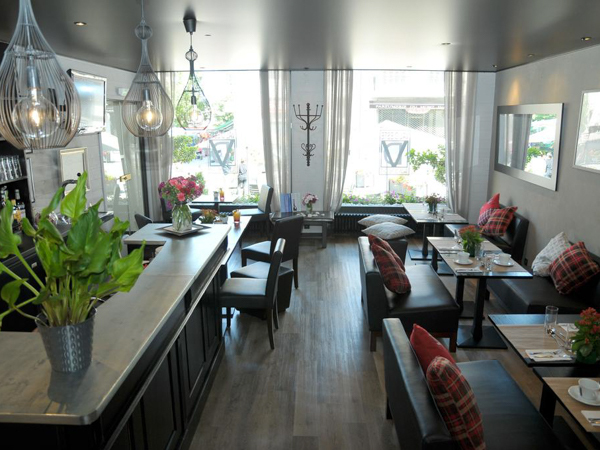 In addition to the comfortable cafe or ‘salon de the’ there is an outdoor terrace for those sunnier days and milder evenings, enabling you to soak up the atmosphere of the resort over a beer or vin chaud. 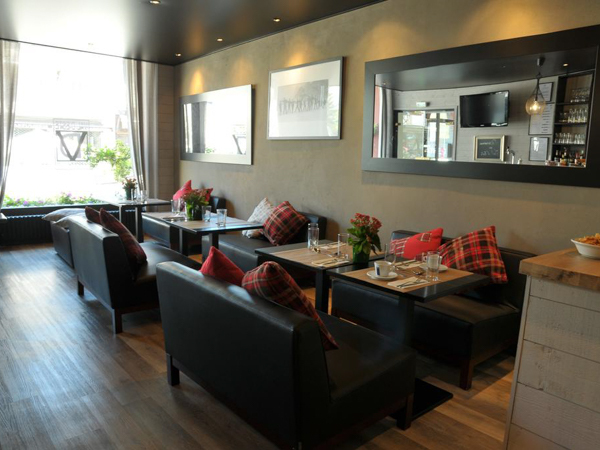 Whilst lacking a lounge, it is ideally located to access all of the bars, restaurants, shops and facilities of Saint Gervais, as the hotel is in the centre of everything. Free WiFi is available throughout Hotel Val d’Este. 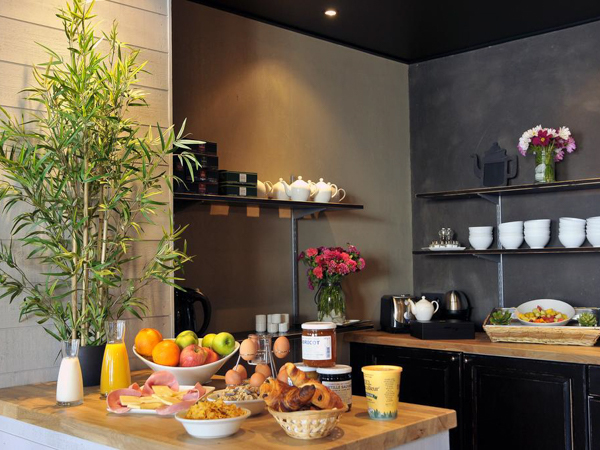 Catering is on a Bed and Breakfast basis at Hotel Val d’Este, which includes a continental breakfast buffet, plus afternoon tea (hot drink and cakes) when you come back from skiing. There is a restaurant next door, or you can try out the many other options nearby in town, and Cristophe will be able to give you some great local advice, as well as make reservations for you. This package gives you ultimate in flexibility when it comes to your eating arrangements, offering a great value short break ski holiday. 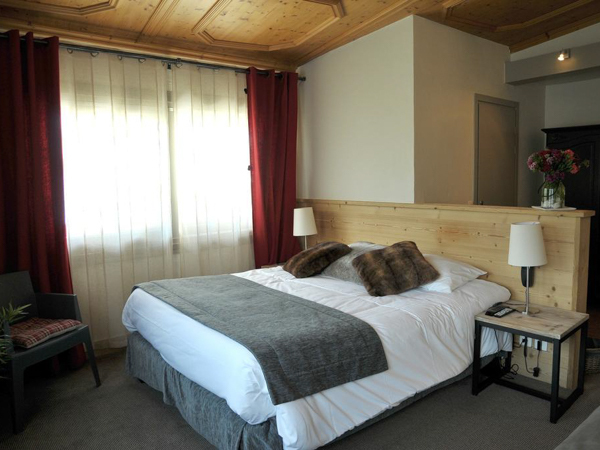 This hotel is located in the heart of the ski resort of St Gervais, just an hour’s easy airport transfer from Geneva. 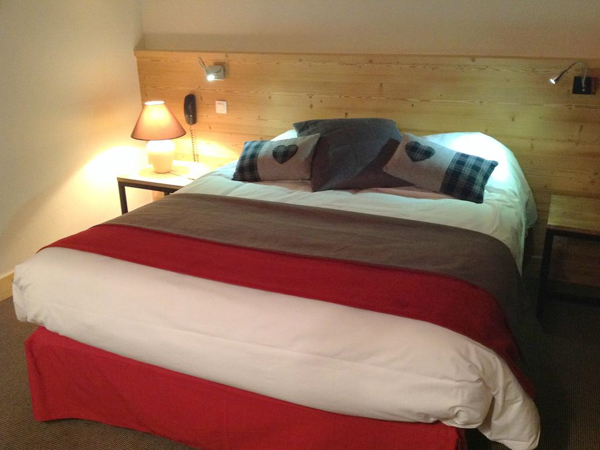 Ideally situated just 800m walk from the cable car giving you access to the entire ski area of St Gervais, Bettes, Megève Mont d’Arbois, it is also part of the wider Evasion Mont Blanc ski domain, which gives 445km of skiing in total. 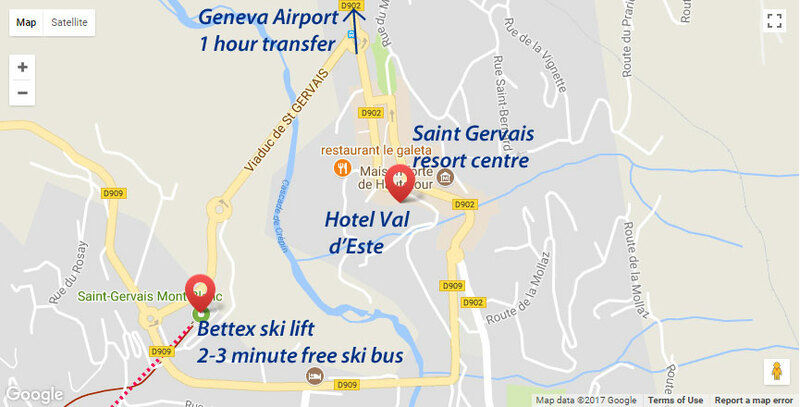 Access to the lifts and slopes is via the free local ski-bus which stops close to the hotel. Stays at Hotel Val d’Este are possible all through the winter season, from mid-December to mid-April. 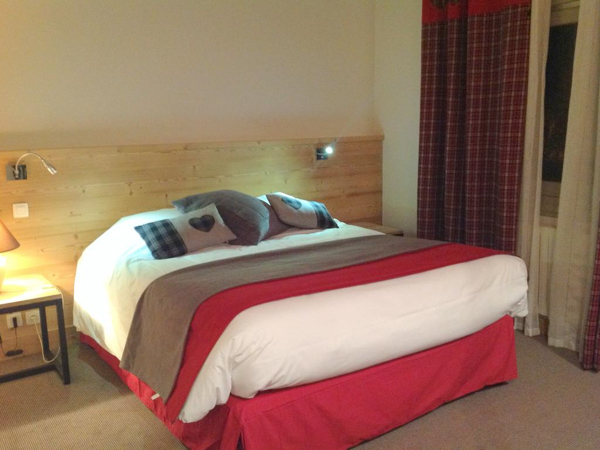 Stays include ensuite Bed and Breakfast accommodation with afternoon tea. All stays at Hotel Val d’Este include a full Evasion Mont Blanc region lift pass, covering 445km of skiing across the ski resorts of St Gervais, and Megève. Airport transfers are included on standard break start / end dates, for flights scheduled to arrive into Geneva airport between 1500-2115, and depart 1600 or later.Transfer time from Geneva to St Gervais is just 1 hour. Word-of-mouth recommendations are important to us. Click on the TripAdvisor logo to see the many reviews from guests who’ve stayed at Hotel Val d’Este. Want to stay at Hotel Val d'Este... ?